The story starts with “Chacha Chaudhary ka Dimag Computer se bhi Tej Chalta Hai”. I encountered this line when I was a kid in the school. And nobody could tell me what exactly is computer. I was curious and always wondered how computer will help my creativity and skill to construct something outstanding. I had paid 15 bucks per hour to my friend for working on 286 to practise the DOS 6.22. I was desperate, because there was fire in the computer institue, where I use to practise for hours long. It took more than a month to repair electric wires in the building. It sounds funny when I recall about my first computer. It was a 386 (30 Mhz) machine with 4MB of RAM and 260MB of HDD. Now I carry thumb drive in my pocket, which is 8 times what I had in HDD those days. I remember paying Rs. 6000 for 4MB of memory. There were 4 SIMMs (Single inline memory Module) of 1MB each. I have unforgettable memories of the CompUser Club. I wished club to become part of every individual, working in computers. I know people were scared that I’ll take away their business in the name of Club. But I was on a different track. I wanted that club to bring business opportunities to everyone. An assurance of service and success in every aspect. Sometimes I don’t understand why I attempted to start that while I didn’t had any place to organize the meetings, no phone connection at my residence. And above all I was working more than fulltime on Job. Club was just part time. The real credit goes to my friends who supported me like anything and we had Club running for 18 months. I had heard about Microsoft Certifications from my friend Vinod D. But I wanted to do something in Java & there was not much help available for SCJP. Infact I hardly got the chance to get online with a shared dialup service. There was only one SCJP book available in the market (by Simon Roberts). None of my fiends had any idea about this exam. After studying for 3 months, I cleared SCJP in October-1999. I’ve very unique approach to studies, which takes little longer but stays longer. Life took a drastic turn after this certification. There were hardly any Java Certified guys and I was respected like anything. Matrix is the one movie which changed my perception to the software. This is something I could very easily relate with spirituality I have been believing in. I have seen 3 parts of the Matrix many times to understand the relationship machines and humans share today and they will share in future. I could relate the Neo’s enlightenment with state of being one. State where there is no difference between us and anything we see in this world we see almighty everywhere. In movie it is the software which is running through all the virtual objects. I had many friends from the field of AS/400 and Oracle. I was always impressed with their ids like Shiva400, Atul400, OraBalan. So I wanted to have something similar thats how deepjava came into my mind. It sounds quite meaningful to me. It is about me and my profession. Visiting the IT companies was thrilling experience. I got to see the real implementations. I was helping them and training them on new Technologies. Tata Share Registry Ltd (TSRL) was my first experience. I remember when Rupesh(chintu) and I use to return after hectic day, discussing all the good things we learned on the job. Then list just went growing. Abyss & Horizon, AS-Syspro, Concourse, Godrej Infotech, Hexaware, Mastek, Infomatics, Systime. At last I settled with my lots of old friends in Asian Compusoft. That was cool work experiences. I was leading a team of engineers to provide web support for ERP built in Oracle and D2K. I recall the amount of the data I had lost in corrupt floppies and in disk crashes. I wanted to have a safer solution to backup my work and data on CDs. CD Writers use to be very costly in those days. Sarathi had brought one from his Spain trip. Now he was going to US for long term. I requested him to give that writer to me at some affordable cost. He is the ‘Friend in Need’. Deal worked out. I backed up my all the 1.2 & 1.44 inch floppies which contained foxpro and C/C++ programs to CDs. This is where I worked for 7 & half years and this company had given me exposure to international level software. It was Praveen who had hinted me that BSIL is looking for Techie people and he referred my name. So I was offered on the same day. In all these years I have travelled to many client places in US. Most memorable of them is being at Sun Microsystem and working with them. That was like dream come true. I could not believe when I was inside that building sitting with engineers. I mean with the people who manufacture software which is hot and goes to almost every computer microprocessor of world. I’ve have been working on projects in the areas of Sales Automation, Resourcing, E-Commerce, Application Server Migrations, Secured Document Management Systems, Interactive Television & Intranet Content Management Systems. In concluding years I was founder member of one small Research, Development & Innovation Team. Ohhhh man!!! I was very much involved in many things. I was on the SCWCD plan since 2 years. I completed half the syllabus and exam expired. I had to start with new SCWCD syllabus from chapter-1. Time was all against me. There use to be no electricity for 7 hours everyday in my home, disturbing me like anything. I completed the new syllabus in 1 and half month, did 4 times revision by different approaches which took 4 additional months. Atlast I cleared SCWCD with 81%. Again the new syllabus introduced & old one discontinued, like it happend with SCWCD. It feels like deja vu. Living the same incidence again in life. New SCBCD is 310-091 which expects you to be having good experience on JEE 5 and EJB 3. After working for plenty of years with Java Technologies I don’t find any excitement anymore. Even though Java FX is great technology suitable for mobile devices, unfortunately SUN or Oracle couldn’t create momentum for Java FX. In future all we will see will mobile devices and wearable computers. It makes perfect sense for me to add the expertise in Apple iOS and Android architecture. 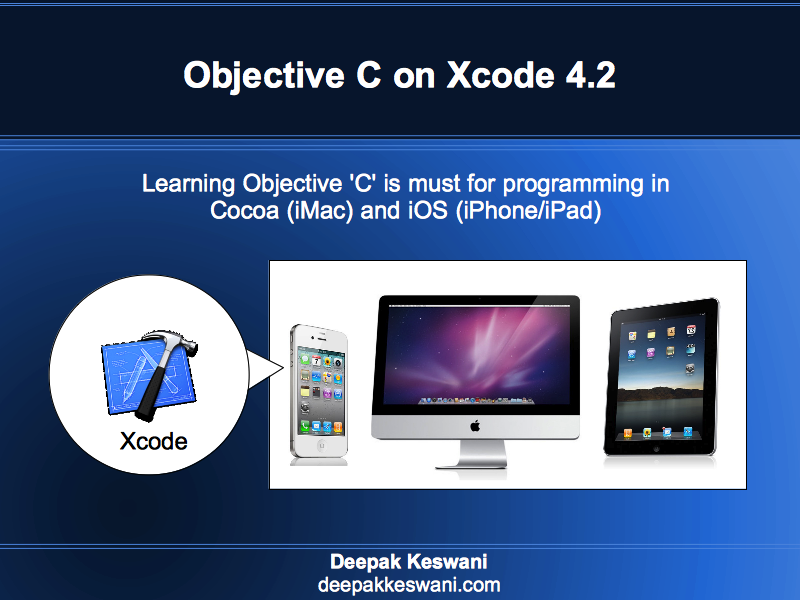 i am in the process of completing my application on xcode and ship it on the app store. my query is how much time does it take on an average for an indian company to get updated on the app store. also the documents in india are called differently as that in the US, can you tell me a little bit about that from your experience. i have a company registered in Delhi. Best way to connect Apple TV to home theatre is through HDMI port. But I believe Sony doesn’t have many HDMI input ports. You can buy optical audio cable from flipkart or any electronic store and give input from Apple TV to Sony Home Theatre. I have ipod touch 5th generation. I would like to connect it with my 40 inches Television. Can you please help which cable and AV converters should i buy? You can buy Apple Composite AV Cable, but I would recommend to get Apple TV instead. This little box now comes cheaper with so many features and gives wireless audio video connection to your TV. You can send anything from your iPod to TV using AirPlay feature. AV cable will be costly & force you to be very near to your TV. May have wear and tear over the period of time. In India you can buy Apple TV from here: http://bit.ly/1HU5UWO. If you have some visitor coming from USA you can ask him to carry this. it is very small & little cheaper there. I am finding it difficult to get an uninterrupted MTNL surfing experience.What could be the best DNS settings?My connection gets disrupted and they don't know what is happening.The 1504 broadband helpline is giving me different DNS settings all the time and the connection works for a while only to disrupt later.It disrupts,again automatically resumes again to disrupt.The router D-Link lights are on and are very rarely showing any Red light on the Internet slot.DLink also have made changes but to no avail.Now what can be done? MTNL is using age old technology. Switch to any other ISP like JIO, Airtel or local ISP who bring RJ45 or fiber to your home.